G Suite is Google’s cloud-based business communications service. Think of it as Google’s version of Microsoft Office 365. With G Suite, you get a full complement of Google apps for business: Docs, Sheets, Forms, Calendar, Drive, and many more. You get business versions of Gmail and secure team messaging with Hangout Chat. All of them are hosted in Google’s cloud, which means they work anywhere you have access to the internet on basically every internet-connected device. You also get access to the G Suite Marketplace, which has hundreds of additional business apps. G Suite is particularly popular in the SMB market. It’s priced very competitively, starting at $5 per user (rising to $6 on April 2nd). And since it’s a Google product, you know you’ll be getting new updates and features consistently. 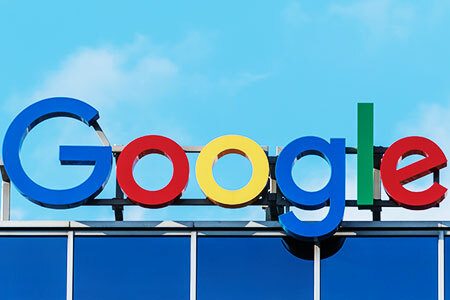 For example, the subject of our blog today: On July 2018, Google publicly announced that they’re adding Google Voice to their offerings for G Suite. What Is Google Voice for G Suite? Google Voice is a free service that Google has offered to consumers since 2009. It’s an internet-based phone number for use with voice and text messaging. Google Voice for G Suite is, fundamentally, the same thing: a phone number. But consumer-grade telephony isn’t good enough for business. So Google is adding more advanced call functionality and full control for IT. Google Voice integrates with the other apps in the G Suite, including corporate chat and video conferencing, to give you a complete communications and collaboration solution. 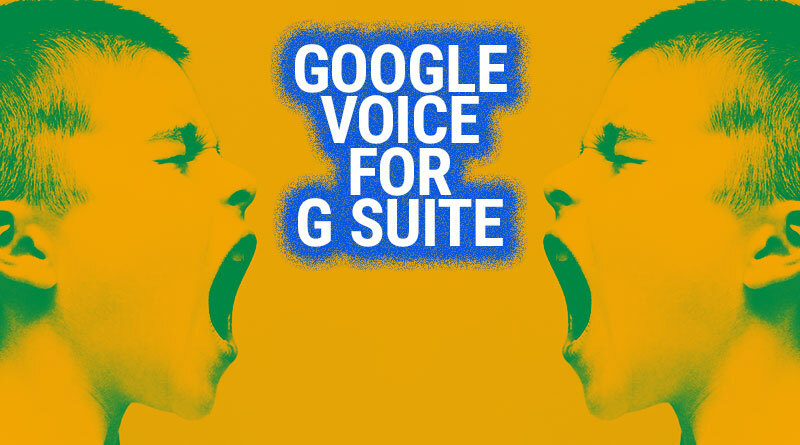 Google Voice for G Suite is still in beta but is projected to be launched this spring. 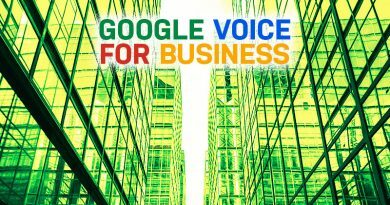 What are the advantages of Google Voice for G Suite? Besides the incredibly competitive pricing of G Suite, there are two main advantages to using Google Voice: AI and app integration. Google’s AI prowess needs no introduction. With Google Voice, they apply their AI power to your voice communications. This means you get the unbeatable Google spam filtering applied to your corporate calls, reducing wasted time and headache. You also get Google’s incredible voice transcription technology to transcribe voicemails. Google Voice for G Suite will integrate with Google’s other applications. Syncing Google Calendar, for example, will allow you to plan meetings quickly and painlessly. The full feature list is yet to be finalized. The beta includes all the features you’d expect from a business phone system, including call screening, do not disturb, Wi-Fi calling, spam detection, and custom greetings. Google Voice for G Suite will feature full control for your admins. They will have centralized control over the phone system, including usage reports, call routing, and user management. 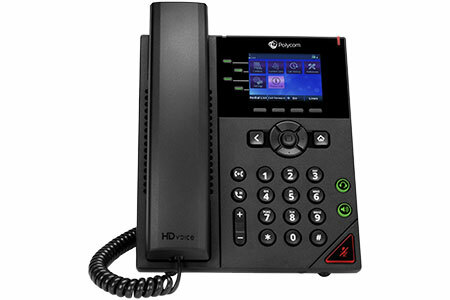 Earlier this week, Polycom (now Poly) announced that their VVX 50-Series OBi Edition phones, including Polycom VVX 250 OBi Edition, are the first IP phones on the market that are certified for Google Voice for G Suite. 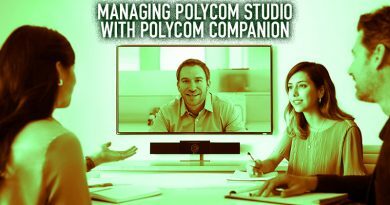 This means you get Polycom’s crystal-clear HD Voice audio quality and Acoustic Fence background noise reduction technology while using Google Voice for G Suite. 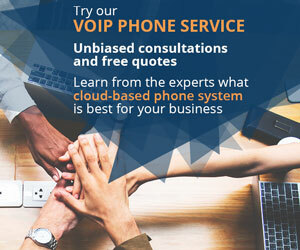 You get a professional VoIP phone experience with Google’s cloud-based communications system. To find a full range of VoIP phones that are certified for Google Voice for G Suite, visit IP Phone Warehouse!